Coal is the lifeblood of this Pennsylvania landscape we are in, anthracite coal to be exact. There were millions of tons of coal buried in slants under the landscape and many worked hard to remove it. One of the best places to view the process is the Pioneer Tunnel in Ashland, Pennsylvania. We stopped at the local museum first to look through the exhibits and see what was to be seen. They do a great job of sharing how the coal is formed and how it is different than other coals. The fields of coal lay under the mountains in this area in a vertical slant, much of what is extracted is done from underground. The Pioneer Tunnel piles you in to a Loki and takes you down the tracks, 1800 feet in to the tunnel, the tracks stop. There are many veins of coal that you pass under in this tunnel that was actively worked until 1931. There are offshoots that you can walk down to see the chutes that have been dug both high and low from the tunnel to extract the coal. The process is dirty, dangerous and back breaking. Over 31,000 men have died in the industry since the process began. While the press plays up the big explosions and collapses, the majority of men were killed one or two at a time doing industrial work. Our prayers for all of them. Not far from Ashland is another Pennsylvania treasure. 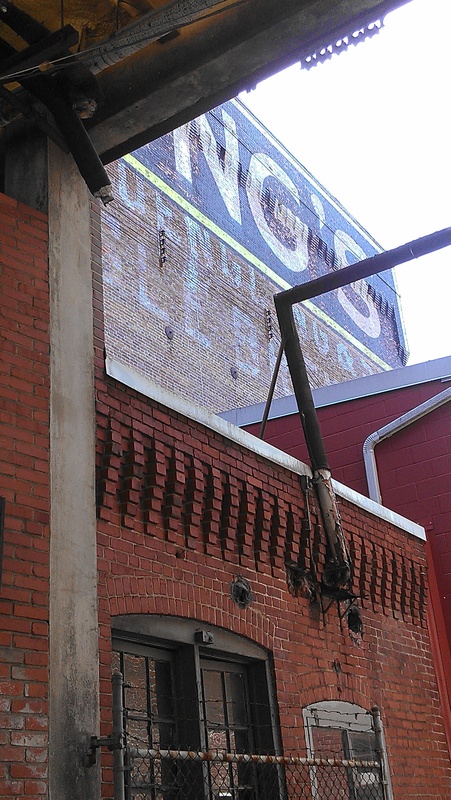 The Yuengling brewery, founded locally in 1829, it is the oldest American brewery. The story starts five generations ago when a German immigrant named David came over to the new country. He wanted to build a brewery to support his family, so he looked for a place with a strong German culture, at that time in Europe, men, women and children in Germany drank beer. He wanted to replicate that formula so he had built in buyers. He landed in Pottsville, where the original brewery still stands – well, almost original, as was common in those days, the first one burnt down. What I loved about the place was the sense of history, the world has not been scrubbed and polished, the doors still swing on pulleys, the basement is still dug out and accessible, there is no security at the door making sure you follow every sign. It feels small, it feels personal, it was awesome. The fifth generation still heads and owns the brewery today, there have been five male born descendants that have headed the company…the current one is 71 years old and he has four daughters active in the industry, but no sons. A change is afoot. Over the last fifteen years, Yuengling has expanded tremendously from it’s humble origins, there are now two additional breweries that each make 1.7 million barrels a year, in addition to the original. Yuengling can be purchased in 18 states and is continuing it’s expansion. Pretty impressive for a local brewery. There is one more thing in Pottsville that the locals are proud of, perhaps more than the brewery even. That is the Pottsville Maroons, a professional football team who won the championship in 1925. Perhaps you’ve heard of them, they go by the Washington Redskins now. This entry was posted in East, Places and tagged anthracite, brewery, coal, loki, Pioneer Tunnel, Washington Redskins, Yuengling by Vagabond63. Bookmark the permalink.